They fight us. They act defiantly. As convincing as we try to be, they fight even harder. Carly, a mom of a 10-year-old boy knows this well. Each night she steels herself for the inevitable homework battle. She tries to motivate her son, encourage him… sometimes bribe him with dessert. But every night, he pushes back. He slams down his pencil and rests his head against his arm. That’s when she knows, it’s useless to fight. She’s taught him all the essentials of a strong homework routine. He made an after-school schedule but refused to follow it. She bought him all the necessary homework supplies, but he loses them. Nothing is working. Every night seems to still dissolve into angry chaotic resistance. What can we do when every homework night ends in a fight? This is normal. Kids resist anything when they feel they’re being forced. No one wants to be told how to live. Everyone wants control. But what if our kids mess up? That’s our fear. But we don’t need to be so worried. How can we convince our kids to do things for their own good? First, we need to change the way we view our kids. As a rule, our kids want their lives to work. They don’t want to be sleeping on a friend’s couch with no job… they truly want to succeed. But they want to succeed at what’s important to them. Yes, school is important. However, some kids will dig their heels in so hard when they feel they’re being coerced. They’ll do the opposite of what’s good just to gain control of the situation. That’s all we all want: control over our own lives. Control always wins. As parents, we want to give kids that control with limits. We need to act more as a consultant than an enforcer. Anytime I’m working with a kid or dealing with my own children, if I feel resistance I’ll push a little. When that resistance becomes an outright “NO!”.. I’ll back off. At that point, I have no chance of winning because the emotional part of my kid’s brain has taken over and there is absolutely ZERO possibility of winning. I drop the subject for the time being. Not for long, just long enough to let the child cool down so we can approach it rationally again. Maybe it’s an hour, maybe its a day – how long you wait depends completely on the child. When both of our feelings have cooled, I’ll approach it again. This time, I’ll frame it as a problem that needs a solution. At this point, alarm bells might start going off in your head. You have a feeling he won’t do it. This happens all the time. My son did this with me. While my daughter always wanted to do her homework the second she got home, my son needed a rest period between school and homework. Part of developing responsibility is allowing kids to fail. They need to see the real consequences of their actions before they’ll even consider the possibility of adopting something new. Then, wait for your child to agree. You just gave your child something powerful here. First, you told them you trust them. Second, you gave them complete control over how they complete homework. Finally, you made them accountable for that control. They know you’ll be watching. They’ll say yes or no, but accept their answer and let them at it. The biggest part of this trial period working is that you have total trust in them to make it work. If they sense any doubt or any sort of control, they will push back. 2 weeks isn’t too long and it’s easy to help them fix any stumbles in that time. Looking on the positive side, you may be really surprised that during the trial period once your child sees you trust them and its completely up to them, he or she will take control and complete the work. It worked for Carly and her son. She let go. She stopped fighting and pulled back. Did her son complete his homework each night? Nope. She said there were a few mad morning rushes to get assignments completed. But he completed them. That’s the first step to seeing why its a good idea to do homework at night. If her son hates that rushed feeling, he WILL change it. When a kid has control to make his or her own mistakes, an amazing transformation happens. You no longer need to remind them to complete tasks. That said, it won’t come easy. Even though your child will initially push back and fail, know that it’s part of the process. You are still an exceptional parent. In fact, you’re better than exceptional because you’re taking the hard steps to raise an adult who’ll be able to take care of themselves and others. 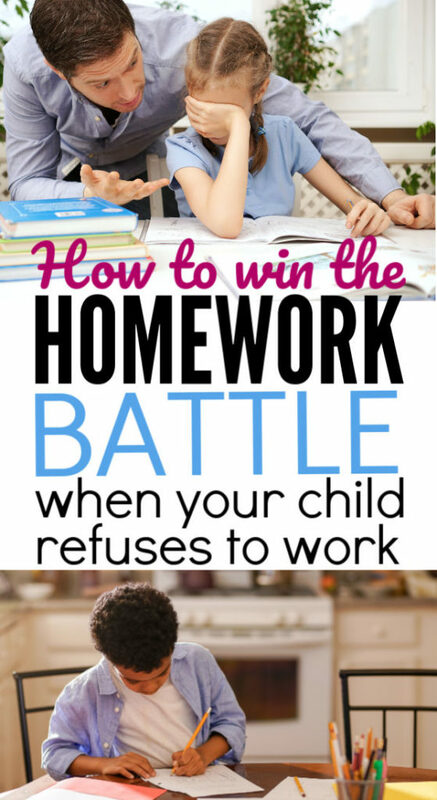 If you need any help steering them to an effective homework routine, make sure to grab my 4 Essential Homework Tips Here.